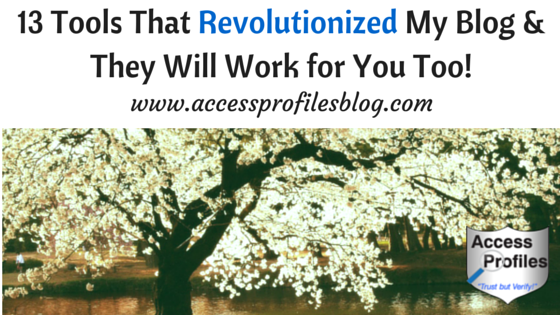 13 Tools That Revolutionized My Blog & They Will Work for You Too! While I have written before about tools that have made running my small business easier (check out “7 Super Easy Apps & Sites Even ‘Technically Challenged’ People Can Use”), my recent success with “Click to Tweet” got me thinking about what other blogging tools have really worked for me. My criteria in compiling this list was that these tools increase my blog reach and interaction and, most importantly, they must be easy to use! While there are surely other tools that help many bloggers (Instagram and YouTube come to mind), these are the ones that I have tried personally and use regularly! “Click to Tweet” tops my list. After reading an article by Mike Allton of The Social Media Hat, I was intrigued by this tool. Not only did Allton explain what “Click to Tweet” could do, he gave step-by-step instructions on exactly how to use it (truly invaluable to someone like me!). Click to Tweet helps you create “tweetable” links you can place within your blog post. These links will not only give your readers an easy way to tweet interesting information, it will share a link back to your article (a great way to increase traffic to your blog!). And if you sign in via Twitter, your Click to Tweet Dashboard will keep track of your links, with access to edit and copy them at any time. The Dashboard will also show your links’ stats. Using “Click to Tweet” has not only been a huge boost for my new posts, it has increased clicks on my old articles too! I won’t argue the WordPress/Blogger debate, but I use Blogger. For “tech challenged” people like myself, I have found it to be easy to use. I also like the ready made connection with my existing Google account. Blogger comes with a Template Designer tool. It is extremely easy for initial set-up and I am able to revamp the look of my blog whenever it suits me. For example, I recently added a new logo and extra pages ~ all without any angst. I also appreciate the Statistics page. Here I can see the number of views for my articles, traffic sources by referring URLs and referring sites, and my audience demographics by country, browsers, and operating systems. Google is a triple threat. They offer 3 great tools to help you with the sticky side of blogging - tracking sources, traffic, and more. Their in-depth information is definitely valuable, and they are all free. This is tool helps me track my blog statistics. I can find where my traffic is coming from, what they click on, and how much time they spend on my site. This tool is invaluable for SEO. I can discover where I rank in search engine results and what key words will help me better my rank. There are also some great trouble-shooting tools. I can see if there are any critical issues with my blog like site errors or connectivity problems. I am still toying with some of its other features (like the Data Highlighter) but overall I am happy with how it has helped with my blog. Google Alerts is a content generation service. You get to choose topics of interest, and Google will search for relevant content and send it directly to your email. For example, my topics are background checks, employment screening, small business, and women in business. I have found many articles I end up sharing on my social sites or even cite in my blog posts. I also use these tools for content curation. They each allow me to set up parameters (much like those in Google Alerts) and will send me articles that match. Both Sway and Scoop.it allow you to share directly from their site, while with Prismatic you have to save the article or share from the article’s source. Out of these 3, I am a little more partial to Sway. Sway allows me to choose the day and time for each article I share. This works great with my overall content sharing strategy. Quora works a bit differently. While this site also lets you choose topics of interest using keywords, it is what else it can do that really counts. Quora is the ultimate “Question & Answer” site. Users post questions on a variety of topics. Then, other users will post responses. I have answered many questions on background checks and hiring here. I think it is a great way to find out what people find confusing or are interested in learning. Perfect for choosing my blog topics! While I have mentioned this tool before, it is worth repeating. This Headline Analyzer has really helped me tweak my blog titles for the best impact. Images Matter for Your Small Business Blog "Tweet This"
Every blog post needs at least one good image to capture attention and the simplest way of creating these images is using Canva. Canva offers a variety of templates you can use to start creating your image or you can upload your own image. You can then easily customize these images by changing colors, adding text, adding other images, and many other options. I have had the greatest success creating “title” images for each of my blog articles (like the one in this post!). I love the fact that I can easily tailor the images to fit my blog. It also doesn’t hurt that Canva is free! (although there are images you can use that cost a nominal fee, I have not had to go this route). Canva also helps me avoid copyright issues since I am able to use my own pictures. Now that you have made the perfect original image, you will want it seen ~ and images on Twitter get noticed. That is where Twitshot comes in. Twitshot is a tool to help your image show up nice and big in the Twitter feed. All you have to do is type in your tweet, add a link for the post you want to share, and Twitshot extracts images from your article. You then get to choose which pic will show up on the Twitter feed. It is that simple! I recommend shortening the URL for your article before copying it to Twitshot. I use Hootsuite for this purpose. This will help you keep to Twitter’s optimum character count for re-tweets. You can also install the Twitshot Chrome extension to make it super easy to tweet great pics. While I also use Hootsuite to schedule and share content, Buffer is by far the best way to share my blog articles. For me, its main selling point is the ability to share my blog posts across multiple channels, on multiple days and times, all with one click! I have mine set up to share posts across Twitter, Facebook, LinkedIn, and Google+. It really helps me get my content the exposure I need. Face it, You work hard on your blog. It takes time to find a topic, research it, write it, tweak it, share it...and the list goes on. That is why when I find something that makes it even a little easier, I am on board! If you haven’t already, give some or all of these 13 Blogging Tools a try. Let me know what you think! Please Share This & Leave a Comment! I would love to hear about your favorite Blogging Tools too! I can help You with Your Small Business hiring and screening needs! Contact Me for a free consultation. Subscribe on my website and you will get one article each week focused on the issues of running Your Small Business! Resources & Frequently Asked Questions page. Take a Look! Volunteers are critical to the success of many organizations. With tight budgets to hire full or even part-time employees, volunteers take up the slack. They spend countless hours coaching youth sports, delivering meals to the needy, mentoring and tutoring children, and so many more things to help those around them. And with summer approaching, there are also many who volunteer in local day and sleep-over camps, in day cares, and as part of other summer programs. Volunteers do these things as a way to give back to their community. They believe in making a difference and in being a good citizen. Their goal is to help those around them, especially our children, elderly, and disabled. However, there have also been horror stories about the danger some of these volunteers have posed. Reports of convicted abusers who are found volunteering as coaches or in child care are an obvious cause for concern. Today, more than ever, organizations who use volunteers need to address this issue. Protecting the very people they are trying to help must be a priority. This is where screening volunteers comes in. At the same time, these organizations do not want to alienate the volunteers they desperately need. Concerns that a background check will violate the volunteer’s privacy and that these organizations will not protect their personal information can arise. This can be a delicate balancing act. Organizations are faced with the need to weed out unsafe volunteers without alienating the loyal and dedicated volunteers they need. New laws are being passed in some states (Pennsylvania is an example) that mandate background checks on anyone who comes in “direct contact” with our children. Despite this, questions continue. And it is even more problematic when it comes to Volunteers. What exactly is “direct contact”? Does it cover anyone who is even in the same room as children? Or does it only pertain to those who have unsupervised contact? 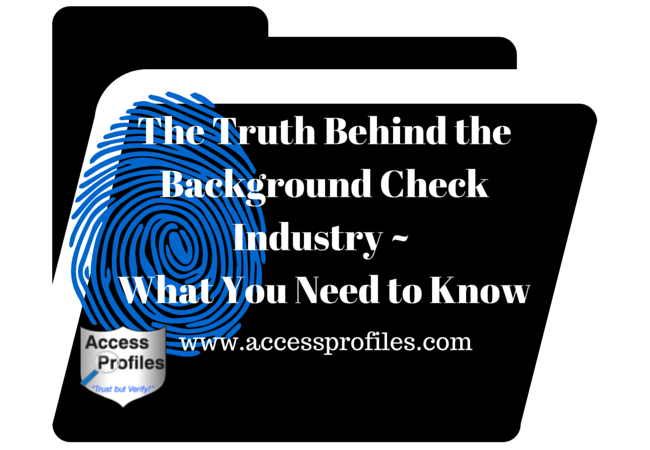 Who pays the fees associated with these background checks? Is it cost prohibitive for organizations, especially non-profits, to cover the cost? Or is it an undue burden on volunteers who are asked to pay for it themselves? What exactly should be checked? Since no standard exists, what is best practice? What offenses should disqualify someone from volunteering? 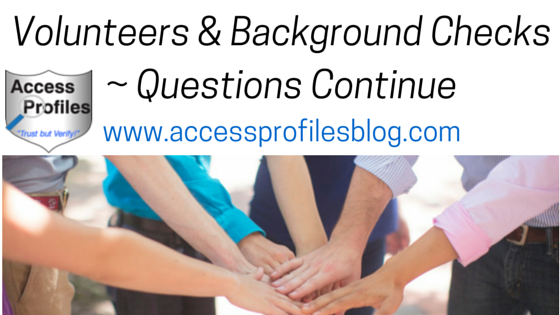 What can be done to minimize a volunteer’s objections to a background check? This can all be very confusing for organizations who use volunteers. 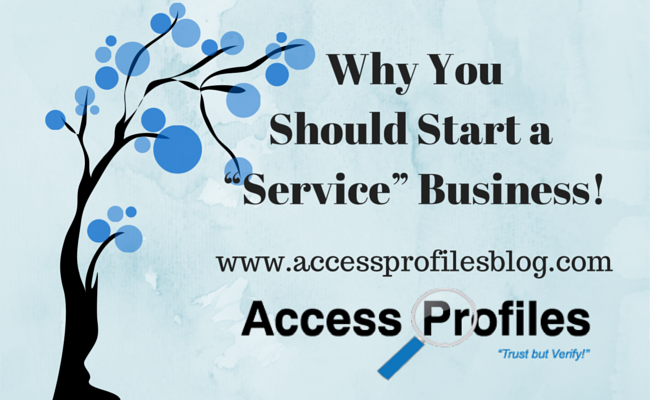 In reality, most organizations run some type of background check on their volunteers. These background checks are run for the same reasons as they would be on any employee ~ to keep out anyone who is unsafe. But while there may be some who are wary of pre-employment background checks, volunteers are often even more put off by the idea. Long-time volunteers may object to a new screening policy after years of giving their time and energy to an organization. While those considering volunteering for the first time might be turned off from even applying. Many are understandably worried about their personal information being leaked. Volunteers may also believe that a new screening policy creates an atmosphere of distrust. It is most important to remember that the top priority should always be the safety and well-being of our children. Organizations can take definite steps to achieve this goal. It is possible to provide a safe and productive environment for the children you serve while mitigating the concerns of your volunteers. This policy should outline the screening procedures used and be included in your organization’s written policies. Make sure that everyone is fully informed of your policy and publish it both in your written materials and online for all to clearly see. This should include exactly what is required of each volunteer who fills the position. Being clear on this up front sets expectations and boundaries. It is also a great way of determining what needs to be checked during screening by fitting the scope of the check to the job duties. (Find out more about this in my article “One Size Does Not Fit All ~ Why You Need to Fit the BG Check to the Job!”). The application should include the potential volunteer’s full name, any previous names used, addresses for the past 7 years, employers, references, and a copy of their photo ID. It is important that you get this application from each volunteer and keep it in a secure file. This also goes for a signed release form. This form both notifies a volunteer that a background check will be performed and documents their consent. Requiring this authorization helps protect your organization. In reviewing the application, look for inconsistencies in the information listed. 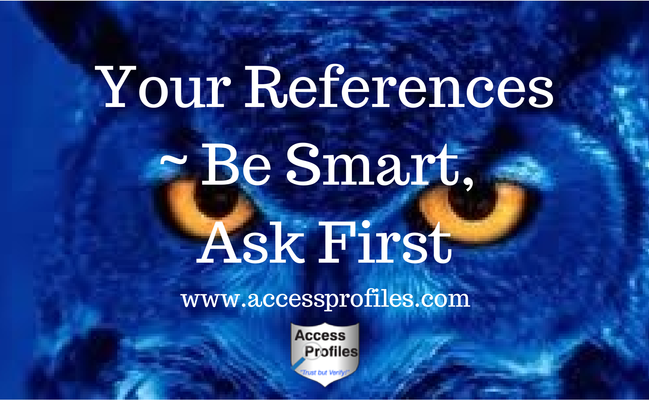 Check references and confirm employment history. Any questionable information found during this process needs to be documented. It is also important to be clear that anything found to be false on the application is cause for disqualification as a volunteer. Taking the time necessary to be diligent here is an important step in making sure you identify possibly problematic volunteers. Although these offenses may not be grounds for immediate disqualification, Pending Criminal Cases, Arrests, and Misdemeanors within the past 7 years should also be noted. Be sure to keep a written log of what was checked, when it was checked, and what action was taken because of the information obtained. It is important to keep a clear and concise record of any decision you make regarding each of your volunteers. State clearly whether these fees are to be paid fully by your organization, fully by the volunteer, or by a combination of the two. Being up front is the best way to avoid surprises. Protection of sensitive, personal information should be a priority. All the information obtained on each volunteer, from the application, application review, and the criminal background check, must be kept completely confidential. It is good practice to keep the application review results and criminal check histories separate from the general volunteer files. These should only be accessible to authorized personnel. We need to remember that Volunteers are Important. They provide much needed man power to many organizations and their contributions cannot be minimized. However, that does not mean that we should take any volunteer into our organization blindly. Making sure they do not pose a potential problem to those we serve is priority number one. Putting sound screening procedures in place to make sure this does not happen is a great start. And making sure your volunteers understand why these checks are necessary is key. Then we can go about doing what we set out to do ~ Helping Others! Please Share This and Leave a Comment! Thanks! I can help Your Organization. 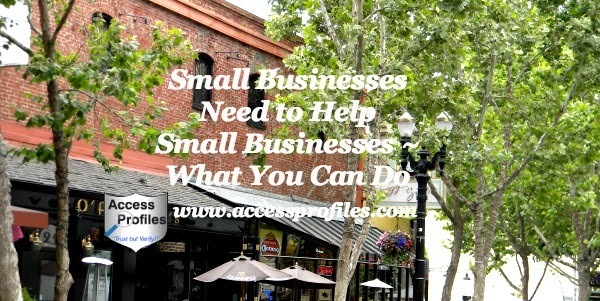 Contact me at accessprofiles2@comcast.net or through my website, www.accessprofilesblog.com, for a free consultation. Let’s Connect on Facebook, LinkedIn, Twitter, and Google+ too! I put great weight in the validity of pre-employment background checks. Knowing the past of a person before you hire them makes sense. But I also choose to believe in second chances and the idea of fair play. For me, the mistakes you made in the past should not define you for the rest of your life. This is not always a popular opinion. that keep ex-offenders from finding work. Many employers are hesitant to hire people with criminal records, and some, rightfully so, are prohibited by law from hiring them, the security, health care, and child care industries come to mind. 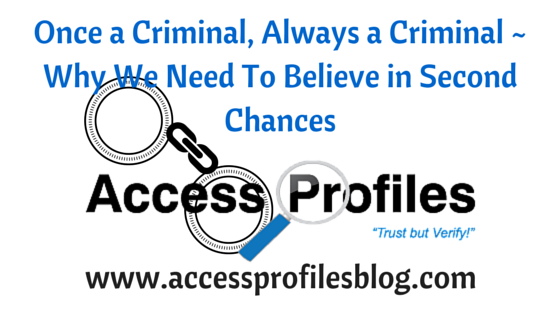 Employers are concerned about the trustworthiness of those with prior criminal records. And if a position requires a worker to be unsupervised or come in contact with customers, those employers are even more cautious. There is also the very real fear of the legal ramifications of hiring an ex-offender. Businesses are often held liable for the actions of their employees. Negligent hiring lawsuits are not uncommon. However, I believe a blanket decision to never hire anyone with a criminal past is unnecessary. Once a Criminal does NOT mean Always a Criminal. "Tweet This"
Instead, I prefer to remember that “to err is human”. Free will often results in us making the wrong choices. Many in the background check industry are not always on board with this line of thinking. By its very nature, our jobs result in us often seeing the worst in people. Whether that be a past criminal record or a resume lie. But people cannot only be defined by their pasts. Our greatest ability as human beings is being able to learn from our mistakes. We as employers and Background Check companies need to move past the notion that “Once a Criminal, Always a Criminal”. People can change. And giving them another chance can help make that change more permanent. I propose a happy medium. There are concrete ways to balance cautiousness with fairness. 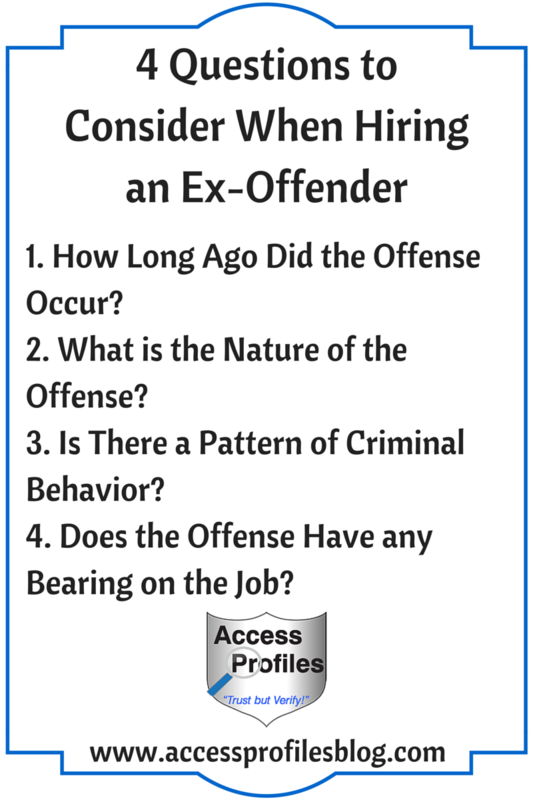 When doing a criminal background check, an employer’s goal should be to look for a pattern of behavior, not one mistake. A single or long ago offense should not be the sole reason to raise a red flag. However, repetitive or recent criminal behavior should. our other employees and customers. We can best address these concerns by making sure that the information we are checking truly has a bearing on the job. You can find out more about this in “One Size Does Not Fit All ~ Why You Need to Fit the Background Check to the Job”! The “ban the box” movement also originally stems from this premise of second chances. Giving ex-offenders the opportunity to get past a “knee jerk” rejection is key. And when “ban the box” is utilized for this purpose, it works. You can see more of my views on “Ban the Box” in these 2 articles; “Background Checks & Ban the Box - The Pendulum Swings” and “What New Ban the Box Legislation Means to You”. still needs to be a part of your hiring practices. 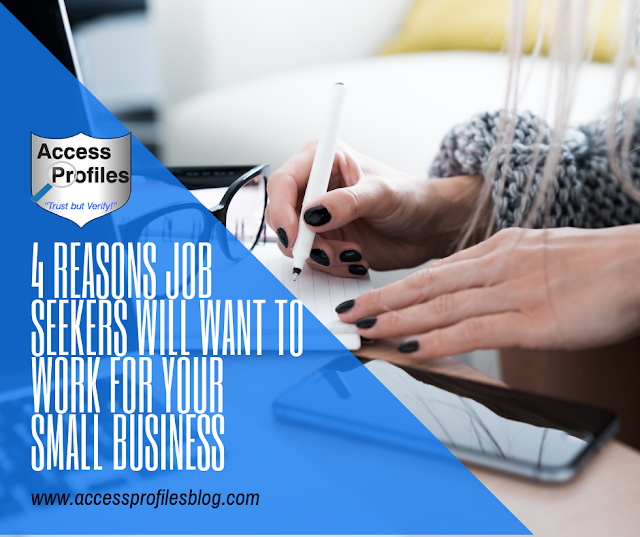 A pre-employment background check is the single best way for you to have the clearest picture possible of your potential employee. 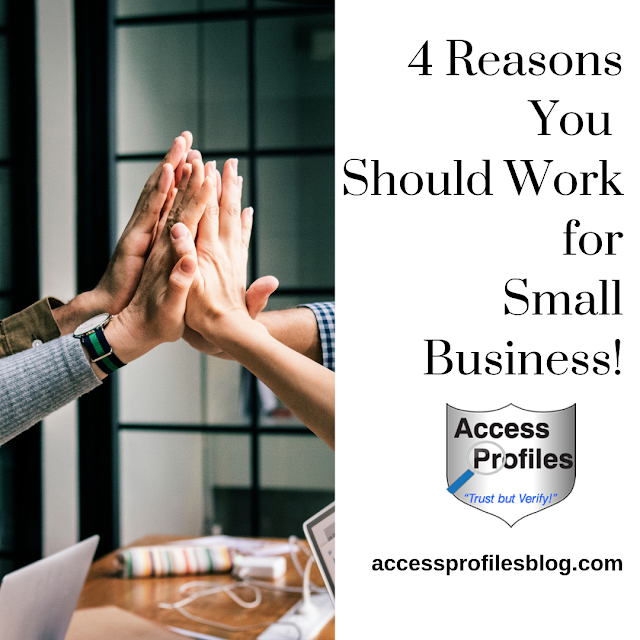 Even if you know your applicant has a criminal record, verifying the details and making sure there is nothing additional you should know is smart business. You should know what your potential hires bring to the table, warts and all. Employers still have a legal duty to exercise "due diligence" when hiring. This means that you are responsible for finding out if potential employees might be dangerous or unfit for a job. However, it is one thing to conduct background checks on your new hires, but it is quite another to screen your applicants and to then consciously consider hiring an ex-offender. This is a true example of a second chance! Those that have made mistakes, learned from them, and moved on can bring value to your business. It starts with believing that they should not be solely defined by the mistakes they made. We need to recognize that ex-offenders often bring with them a feeling of redemption when they finally land a job. They understand the need to prove themselves ~ with their actions, not just their words. Saying they have moved on from their past is not enough. They know that they may be judged differently and watched more closely than their co-workers. In fact, you may find that they turn out to be some of the best hires you have ever made. You may even find them more loyal. They have gone through an often discouraging job search and appreciate the “second chance” you have given them. Hiring ex-offenders can also be a great way to “pay it forward”. Helping people better their lives can be very rewarding. The credit ranges from $1,200 t0 $9,600 credit on any new hires, including part-time, temporary and seasonal workers. “The Federal Bonding Program to provide Fidelity Bonds that guarantee honesty for “at-risk”, hard-to-place job seekers.” The program covers the first 6 months of employment and is free to both the job applicant and you as the employer. Many local and county programs exist that are designed to help ex-offenders reenter the workforce. Their goal is to give them the life skills, job training, and workplace readiness to successfully land and keep a job. They focus on personal counseling (the importance of taking responsibility for your actions) and interviewing techniques. These programs also include career counseling, skill development, on the job training, and other things necessary to help the ex-offender ready themselves for employment. But it doesn’t have to be a deal breaker. Making a decision with fairness and humanity in mind can still result in you making the best hire for your company. Just remember ~ Knowledge is Power. Going into the hiring process with all the facts is Good for You and Your Company! Please Share This and Leave a Comment. Thanks! the Quality Hires You Need. Small Business and Hiring questions!